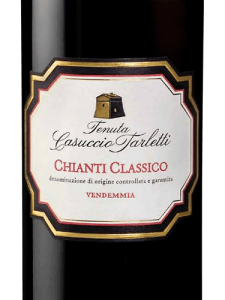 2010 Il Grigio Chianti Classico Riserva EN MAGNUM! Every now and then a wine comes along that everyone just seems to love and last Christmas it was this Tuscan Treat that was flavour of the month with its rich, dark fruit aromas and a long spicy finish. 94 points from the world’s most renowned wine critics didn’t do its reputation any harm either! W ell it’s back but now in magnum from which it tastes even better and there’s no premium on the larger format either as it’s just £30 per magnum. What wine could sit better on the Christmas Dinner table?